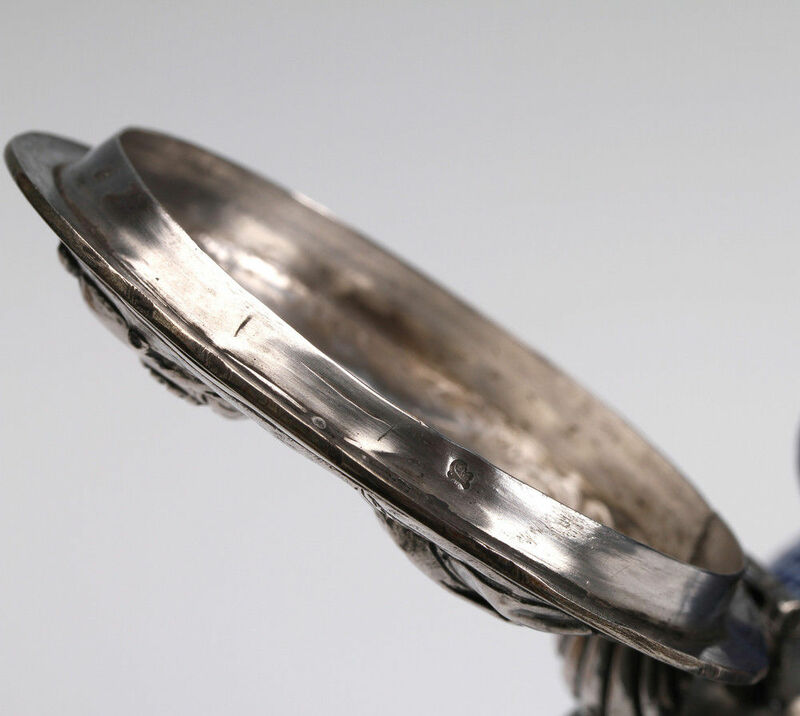 Lid with silver hallmarks for Antwerp 1673-74. Inner rim with Dutch tax mark. 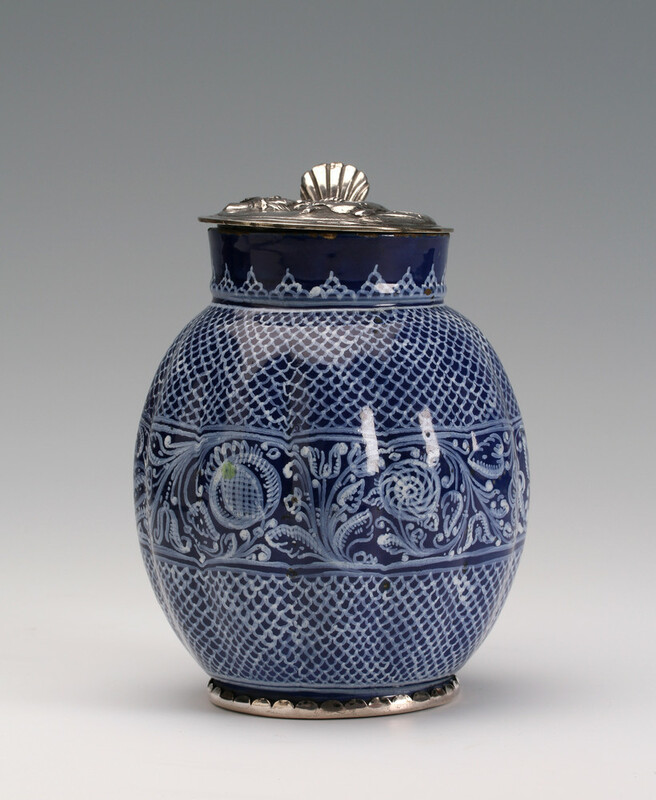 The finely potted lobed oviform body intricately painted in white on a deep cobalt blue ground with a scale pattern simulating lace work, divided by a band containing a meander of tulips and other flowers. 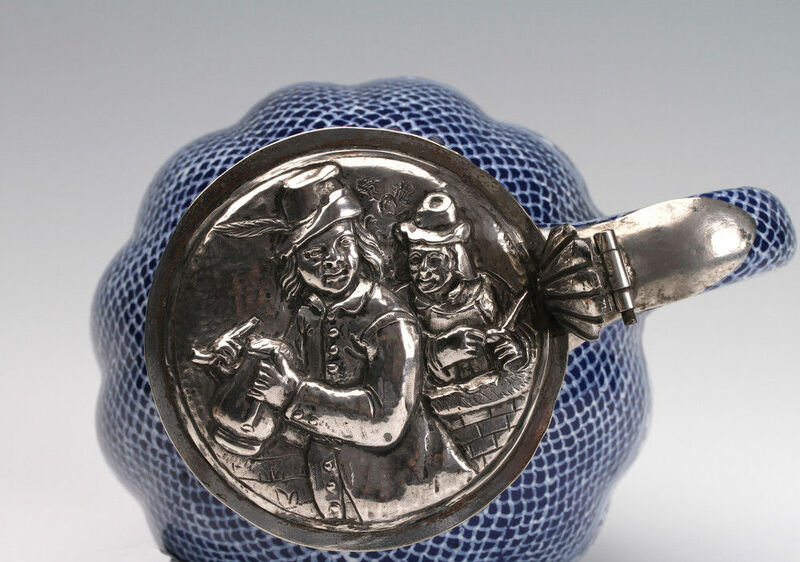 Silver repoussé lid with shell thumb piece and a Teniers style drinking scene, scalloped silver band to foot. The Anabaptist Haban community fled persecution and, led by Jacob Huter, settled in an area contained by today’s Czech and Slovak Republics, Hungary and Romania. This Hutterite community was famous for its pottery which adhered to strict rules of production as decreed by the Ordinances, Hafnerordnung, originally set down around 1594 which stipulated an austere simplicity in keeping with the tenets of this religious community; a further ordinance of 1640 forbade frivolous forms. 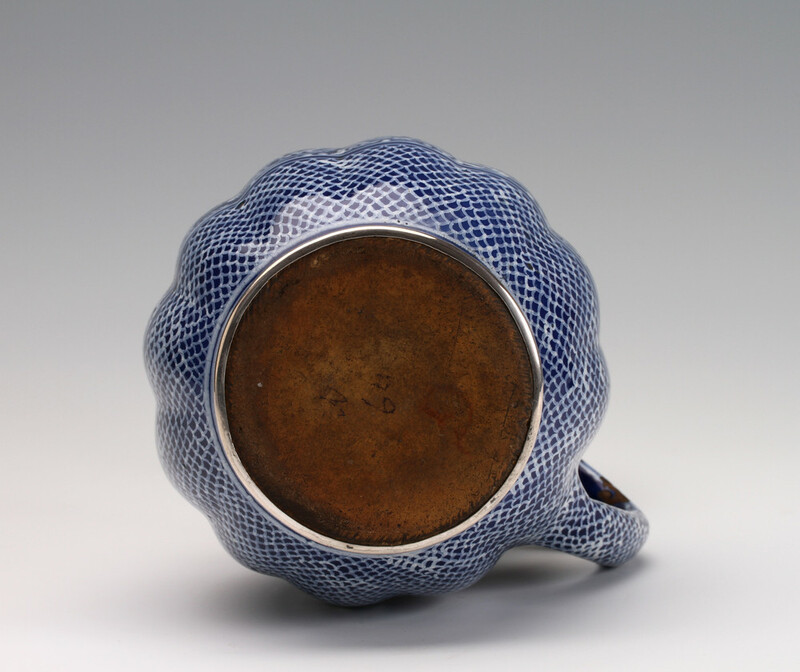 These white on dark blue wares are amongst their rarest and most remarkable productions and exhibit distinct Ottoman influence. 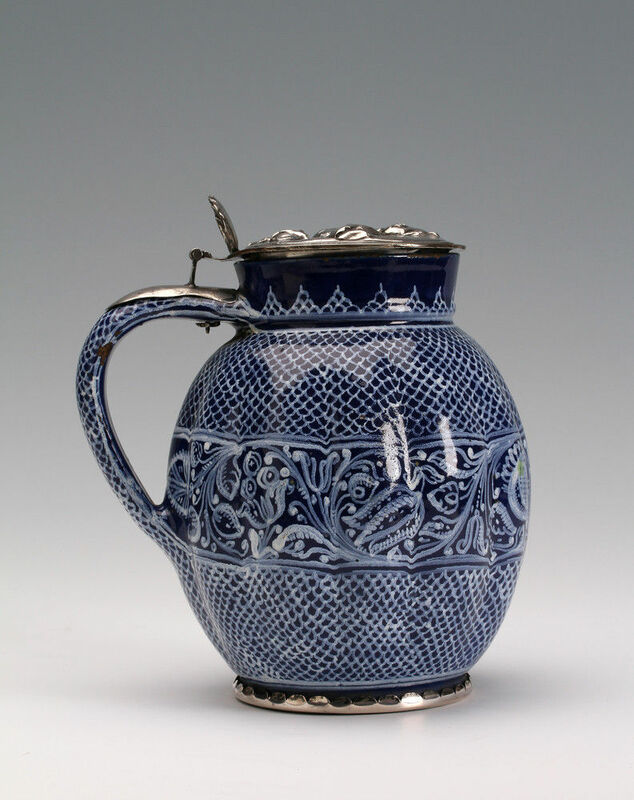 After 1686, the year of Budapest’s liberation from Turkish occupation, pottery continued to be produced by members of the Haban community who had converted to Roman Catholicism, this eventually merged with local Hungarian folk art traditions. Other examples can be seen the museums of Budapest and in the Keorner Collection in the Museum of Anthropology, Vancouver, which has an example dated 1653. 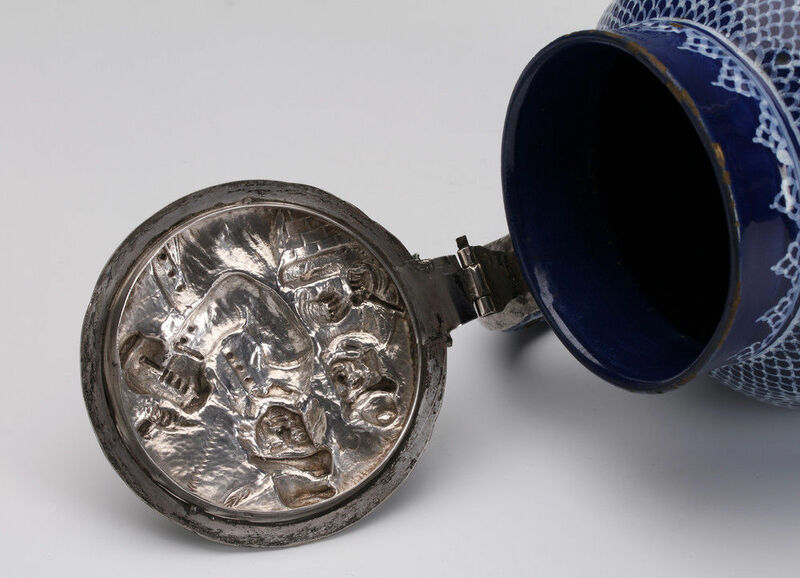 These wares typically have pewter mounts; this silver mount was added in Antwerp, which also had an Anabaptist community, shortly after it was made. 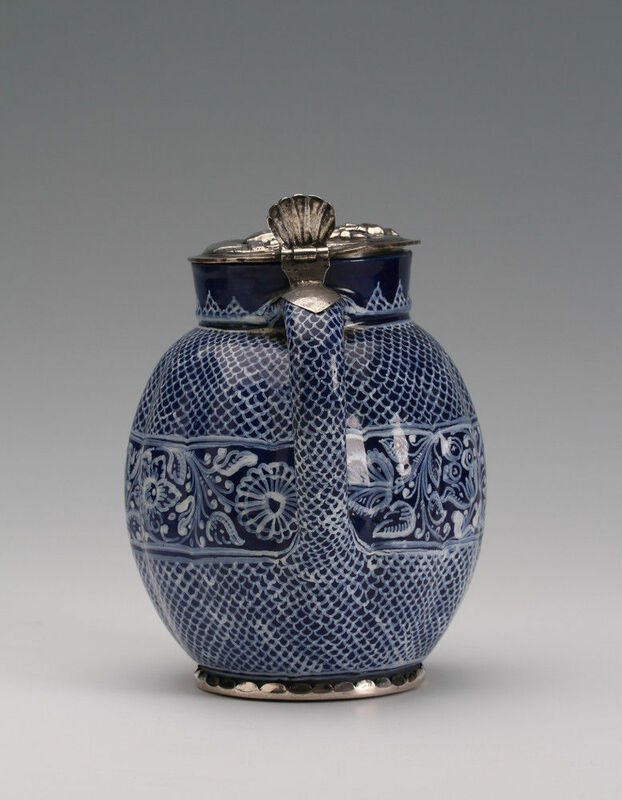 Condition – Minor old flaking to glaze. 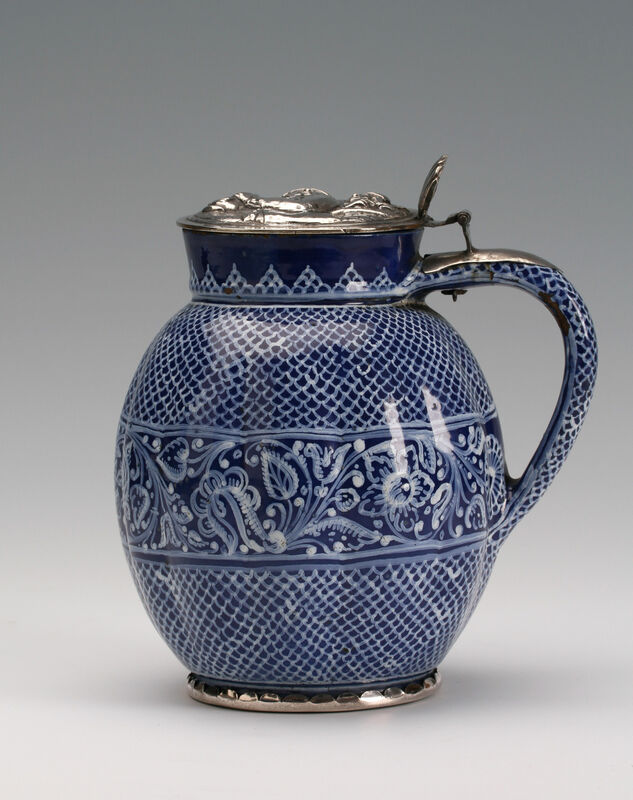 Literature – For a similar jug and a detailed discussion of the group see: A History of Haban Ceramics, A Private View, A Canadian Collection of Hungarica, Volume IV, J. Eugene Horvath and Maria H. Kriszyinkovich, Vancouver BC Canada, 2005. Also, the papers by Maria H Krisztinkovich, Jana Kybalová and others in ‘The Potter’s Art’, Contributions to the study of the Koerner Collection of European Ceramics, edited by Carol E. Mayer, University of British Columbia Museum of Anthropology, 1997.